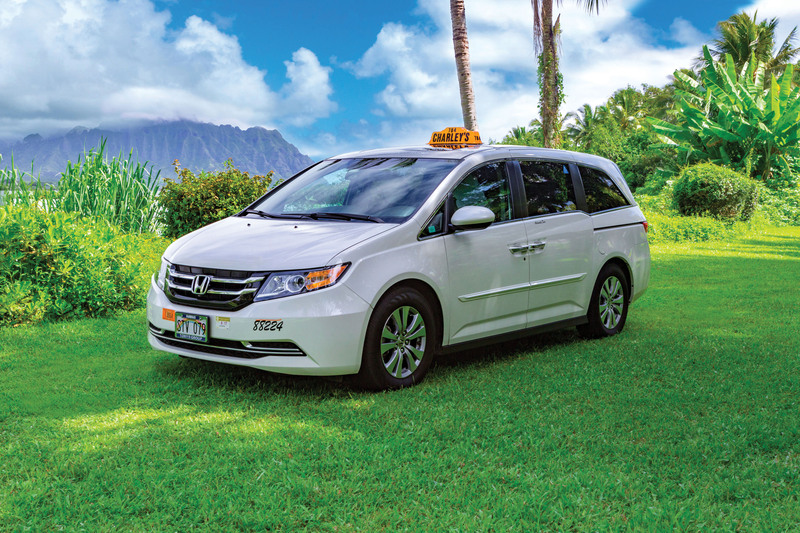 Taxicabs are available at either hourly or metered rates. 10% discount to Seniors, Military and all Emergency Responders (Discount does not apply to Flat Rates). Rates for full-sized luxury cars and minivans are the same as for taxicabs. Over two-thirds of our fleet is less than 5 years in age. Executive cars and minivans are immaculately clean with white cotton headrests on seats. Please reserve in advance for this upgraded service. Make a special occasion even more memorable. Luxury limousines come in various sizes and are equipped with video entertainment systems. Have a really big group? We can also coordinate buses and trolleys. Please contact our concierge at 808-947-0077 or via email. We offer a variety of vehicle types to suit your needs. You may arrange, by request, for an SUV or Wheelchair Accessible Van. Special vehicle requests are subject to a $35 surcharge in addition to the fare. Many of our drivers are fluent in Japanese and are also available by request. GE Tax and gratuity are not included. Special requests are handled by AllWays Charleys. Please note, passengers who damage or soil the taxi will be responsible for a $350 cleaning fee.